August is a busy month getting ready for Origin in September. 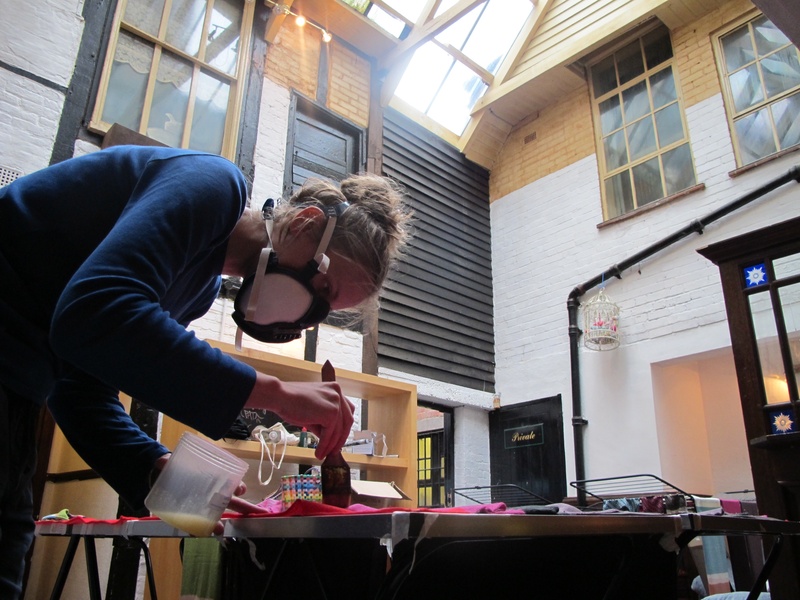 I am currently artist in residence at Jelly.The Jelly take on empty shops, office spaces and buildings within the town centre and turn them into pop-up galleries, workshops and music venues. 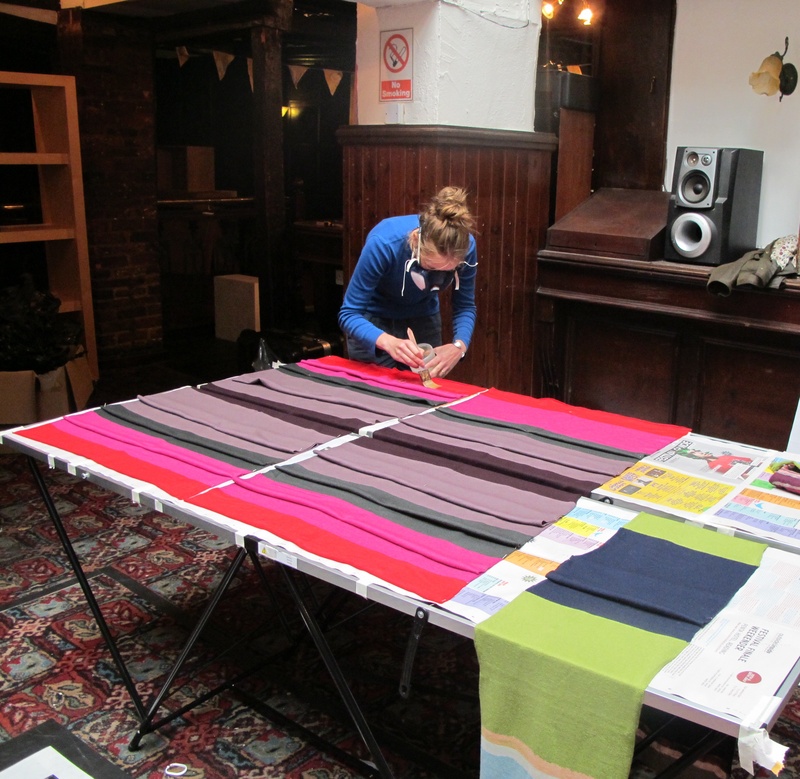 They have kindly allowed me to take over part of the ground floor of a disused pub – The Coopers Arms in the centre of Reading where I can paint my scarves. It has been very enjoyable working on the scarves for Origin in this amazing and unusal space. Thank you Suzanne at Jelly for all your support and encouragement.